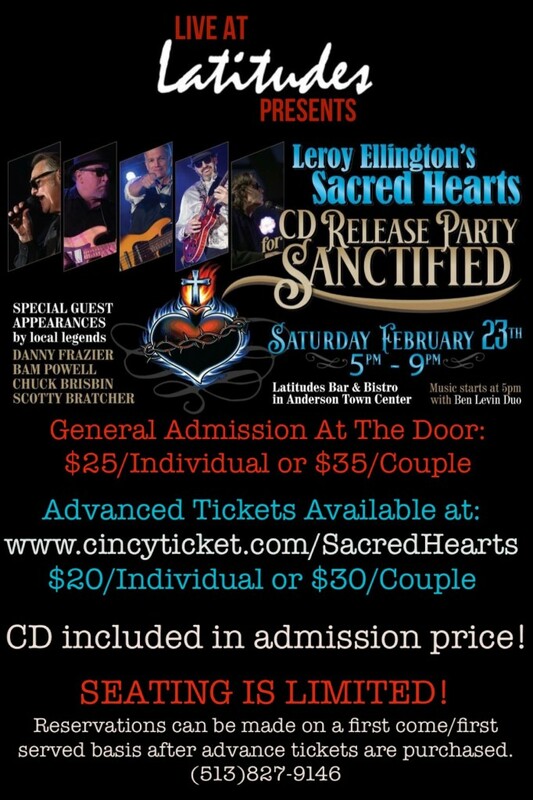 Leroy Ellington’s Sacred Hearts CD Release Party / Advance Tickets Available! “THE SACRED HEARTS” performing songs from the new CD! With feature SPECIAL GUEST APPEARANCES by local legends DANNY FRAZIER, BAM POWELL, CHUCK BRISBIN and SCOTTY BRATCHER! Who: Leroy Ellington’s Sacred Hearts! What: CD Release Party with SPECIAL GUEST PERFORMERS! Why: A night of BLUES FELLOWSHIP! AFTER THE CD RELEASE PARTY ENDS!